Severus pic.. . Wallpaper and background images in the severus snape club tagged: severus snape alan rickman harry potter. Thank you so much ville! Awesome pic! 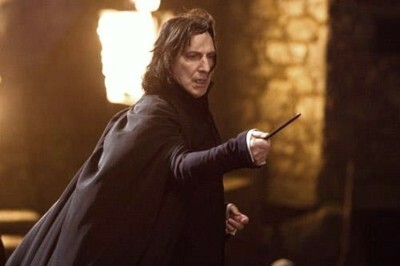 Love his robes, his stance, his fingers, the hair and the expression! Even the lighting is perfect! Yes it is. So intense. So much challenge in that pose! Love it!